Eight years ago I had an awesome job. I worked with great people, I found my work fulfilling, and the pay was good. And then I left all that behind for a job that meant even more to me. I became a full-time mom. Leaving my career to take care of my three children (a 2-year old and infant twins at the time) was one of the scariest things I have ever done. I had spent years investing in my education and developing my career. How could I just throw that away? We were going to lose 40 percent of our income. How would we survive? I didn’t know how I would adapt to being home alone with children all day. What would my days look like? The transition to stay-at-home mom was hard, but not as difficult as I feared. The ability to be home for my children and my husband proved to be an amazing thing. It allowed us to find ways to simplify our lives and to enjoy time together as a family. It allowed me to be an advocate for my children when they needed one. 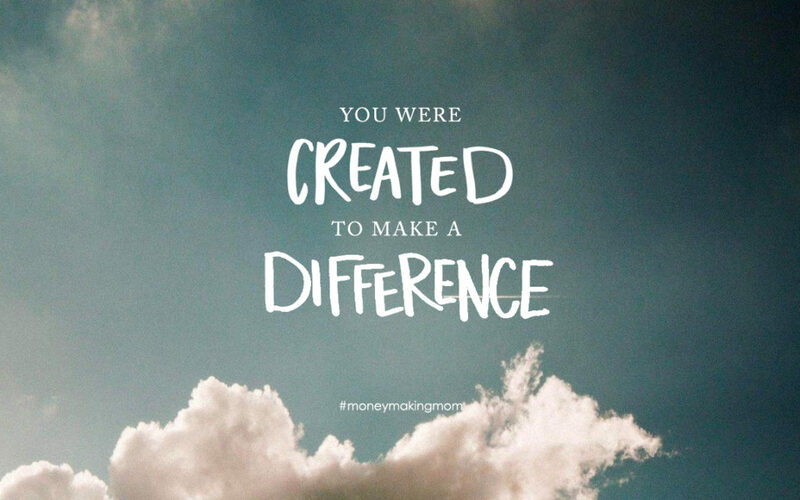 While I was fulfilled in many ways, I still longed to do something beyond “Mom.” I longed to have an impact outside of raising children. I knew that bringing in some extra money would alleviate some of the stress placed on my husband as the chief bread winner. For years, I had kept a journal to document all the ways I saved money. It was a way for me to keep track of strategies that worked for us. It was a place for me to vent my frustrations with our finances and a place to brainstorm new money-saving ideas. I wrote in the journal to help me keep my mind from turning to mush after being with little ones all day. My husband knew I had always had a passion for writing and encouraged me to turn my frugal journaling into a blog. And from that Northern Cheapskate was born. Through advertising and product sales, this little blog of mine has now replaced some of the income I lost when I left my job to stay home with the kids. It has opened up doors to radio and print opportunities and to freelance writing jobs outside of the personal finance sphere. It has allowed me to use my college degree and the skills I had developed. It has allowed me to be home for my kids when they need me. It has allowed me to volunteer in my community. It has allowed me to help hundreds of other people all across the country live a more frugal life. I’m now a “work-at-home” mom and I wouldn’t have it any other way. The experience that I have had is one that I know some of you have considered. Maybe you’re unsure where to begin. Maybe you aren’t sure you can do it. I know because I felt that way, too. Crystal Paine, who runs the popular website Money Saving Mom has just written a new book that can guide you through the process. Her book, Money-Making Mom: How Every Woman Can Earn More and Make a Difference is dedicated to helping women earn more, make an impact on the world around them, and still maintain a healthy balance between work and family. Money-Making Mom is the book I wish I had all those years ago when I first began my journey. In the book, Paine shares personal stories that captivate and inspire. She has a way of getting into the heart of anyone who has ever felt trapped by their financial situation and was desperate to find ways to save and earn more money. She doesn’t just give you hope. She gives you a plan. Money-Making Mom is loaded with practical tips to help you determine how you can begin earning an income from home. The book offers exercises to help you explore your skills and talents and discover your passions. Paine outlines the criteria for creating a successful business and developing a mission statement. She discusses how to create passive income, growing your business, and how to push through all the things that get in the way. Paine’s family motto is to “Live simply so that others can simply live” and in the book, she shares how to use your talents, skills, and new-found earnings to live generously. Money-Making Mom isn’t just about making money, it is about finding a way to live a more intentional life. The book may have “Mom” in the title, but there is so much good information in it that can benefit anyone who is looking to earn more money. This book gets to the heart of what it means to be financial independent and gives practical ideas and encouragement to help you make it happen. It is a must-read for anyone looking to change the course of their future. 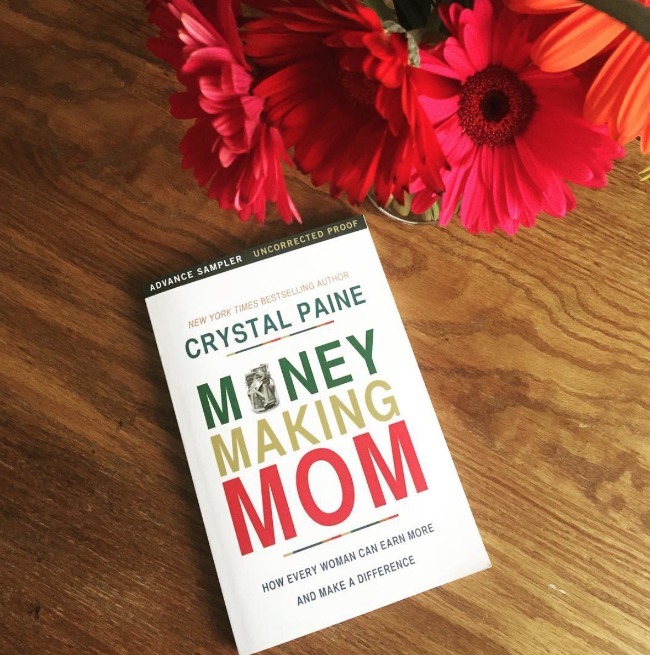 Even though I’ve already been doing much of what Paine talks about in Money-Making Mom, I found it an inspiring read that helped me brainstorm new ideas for expanding my business. It is a book I can see myself turning to again and again, and one I would recommend to anyone looking to earn extra money. It’s a great value that will put you on the path to a more intentional, financially secure life. While Thomas Nelson Publishing did provide me with a review copy of this book, the opinions expressed here are 100 percent my own and were not edited by the publisher, author(s), or their affiliates. This post also contains affiliate links which help support this blog at no additional cost to you. Please read my full disclosure policy for more information.